The month of May is always associated with V-E Day. The sentiments of “never again” were strong 73 years ago, in 1945 when the UN was founded. Since then Europe has put a huge amount of effort into creating a unique security system to prevent armed conflicts. It was never perfect, but by and large it worked. Other continents used to look on with envy and try to establish security regimes of their own. Multiple agreements are still in force, working to prevent the worst scenarios, but today they appear to be somewhat forgotten and are failing to meet their objectives. Yet by no stretch of the imagination would anyone have imagined that May 2018 would be a month spent teetering on the brink of war, with the experts left trying to guess when it will ignite, how far it will spread, and how many actors are likely to be involved. It’s scary but that’s where we are. It’s never been this tense since the worst days of the Cold War. On May 2, Siil (Hedgehog), the largest NATO exercise to be held in the Baltics since 1991, began in Estonia and Latvia, involving 3,000 troops from 16 countries. It will last until May 14. Estonia and Latvia border the Russian Federation. Latvia will host five military exercises in May and June. All of this activity is intensive enough for Moscow to interpret it as preparation for war. June will see large-scale BALTOPS and Sabre Strike 2018 exercises in the Baltics. 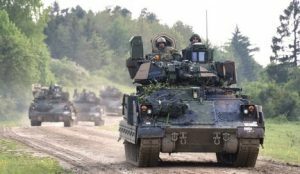 Europe will host a US armored brigade – a force of at least 4,000 soldiers accompanied by about 90 Abrams tanks, Bradley combat vehicles, 18 self-propelled Paladin howitzers, and other vehicles. The largest-ever NATO exercise, Anakonda 2018, will be held in Poland this summer. This is the biggest event staged by the alliance since the end of the Cold War and will include about 100,000 troops, 5,000 vehicles, 150 aircraft and helicopters, and 45 warships. Such a huge force will naturally make Russia wary. The NATO Air Policing was stepped up last month. The alliance will conduct 80 joint exercises in Europe this year, mainly aimed at prepping for a war with Russia. This intensified training is taking place at a time when the Donbas conflict in Ukraine is really heating up. The escalation of tensions is coming on the heels of the US deliveries of Javelin antitank systems to the Ukrainian military. This is the first transfer of lethal weapons. On May 1, the US State Department released a statement announcing that the American military is shifting to a new phase in its Syria operation. The US-led coalition, the SDF, and its mysterious “local partners” are to be involved. Turkey, Israel, Jordan, Iraq, and Lebanon have also been mentioned as having a role. The Islamic State has not been much of an issue for Beirut, but now Lebanon is very likely to become a battlefield that will draw in many actors, especially Israel and Iran. Officially the mission is intended to sweep away the remnants of the Islamic State (IS) forces, but that claim should be taken with a grain of salt. Whatever is left of IS is insignificant and can be dealt with without the help of the US-led coalition. The situation in Syria is very explosive now that the US has ratcheted up the tensions instead of pulling out as President Trump said he wanted to do. A wider conflict is right around the corner there. The US-led SDF and the Syrian regular forces have recently been involved in direct clashes — a very worrisome development and coinciding with the Israeli airstrikes against Syrian and Iranian forces. These war preparations are taking place at the same time that Prime Minister Netanyahu is accusing Tehran of allegedly cheating on the nuclear deal. 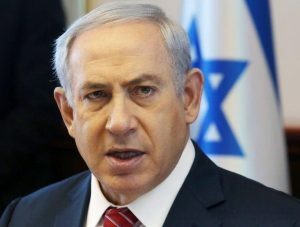 The US was quick to claim that the evidence was “compelling.” The Israeli parliament has just voted to grant the prime minister the authority to declare war or to order a major military operation without the prior approval of his security cabinet. US President Trump is widely expected to decertify the Iran deal on May 12 and pay a high-profile visit to Israel when the new US embassy’s provisional site in Jerusalem opens on May 14. The opening ceremony will be the right place and time to announce new moves against Iran — a country that works closely with Russia in Syria and elsewhere. All the events taking place in Europe and Syria have a direct impact on Russia’s security. A spark is enough to kindle a conflict in Europe. The never-ending NATO exercises and other operations conducted right up against Russia’s borders are extremely provocative. A war against Iran in Syria appears to be almost certain, since Russian forces are deployed near Iranian positions. It will be next to impossible to strike Iranian or Syrian sites without provoking the Russian military into taking measures to defend itself. A single strike against Iranian forces could be contained, but a military campaign against them will inevitably put Russian personnel at risk. Russia has some very formidable military forces positioned in Syria that must be a serious factor in any war scenario. Tensions are running high in Europe and a wider conflict could ignite at any time in Syria. In either situation it won’t be Russia that provokes the explosive situations that threaten to deteriorate into a full-blown conflict. Why Is Russia Attacking ISIS In Syria, While Supporting ISIS Incursions Into the U.S?